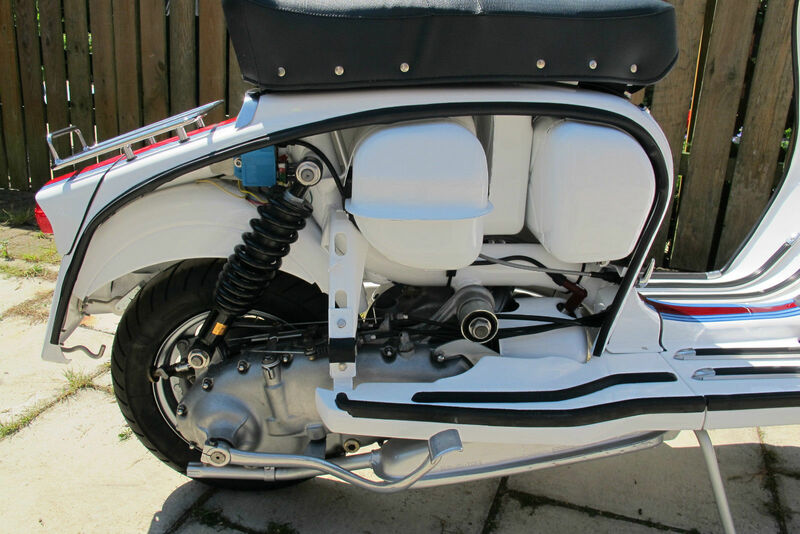 Trawling the interwebs, came across this dapper Spanish model D… one of the first model of Lambretta out of the Eibar factory. 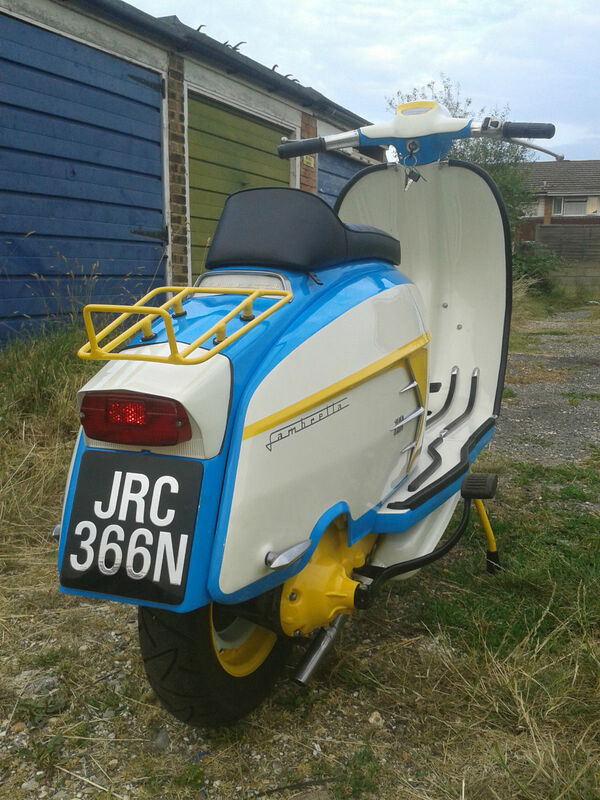 Looks rather good themed as a miltary medical scoot… everything looks as it should, too my amateur eye anyway, apart from those saddles – too new! 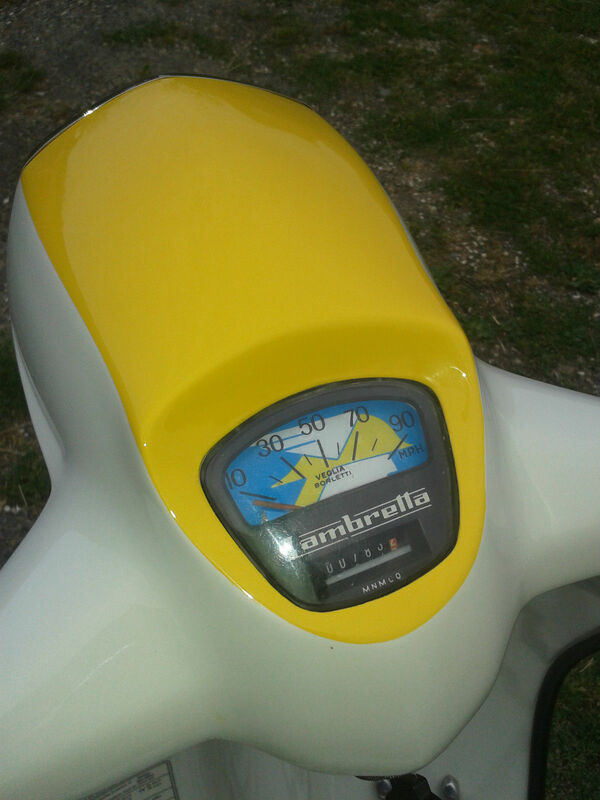 After a few thousand kilometres of running in though, the seats should start to look as good as the rest of the scooter. 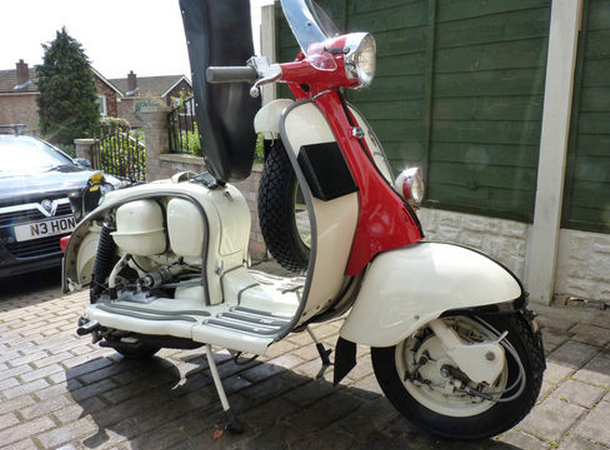 It’s on this Spanish Auction Site if you’re interested, priced at €5,900. Iain Hannay sent me some fantastic pics of a Model D, that he’s just got running… built in the Eibar factory, in the Spanish Basque country. 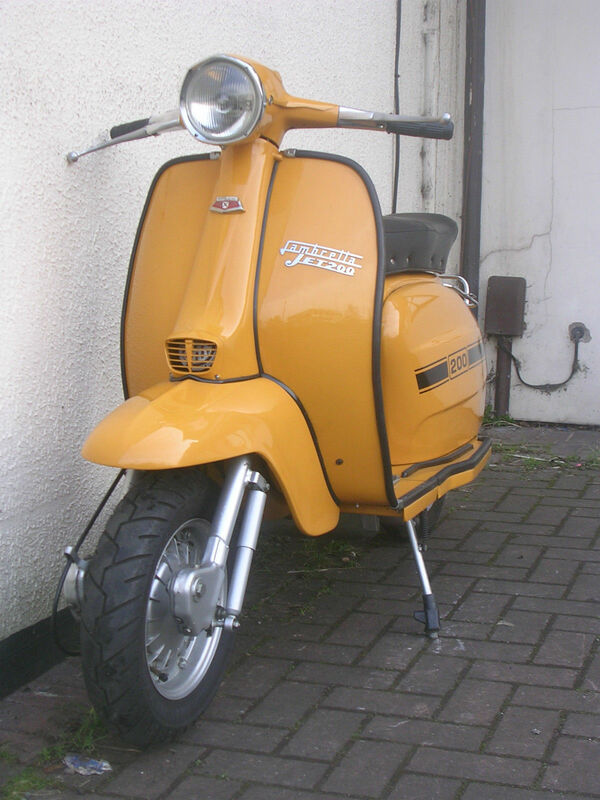 Now, I see a fair few Spanish Series 2 Lambrettas these days (much more than I used to, for some reason), and Jet 200’s are getting recognised as very desirable scooters… but I haven’t seen many early open frame models. If any, truth be told. Iain’s D has some nice period accessories, the legshield extenders, and the spare wheel carrier / rack… and I love that oxblood paint. 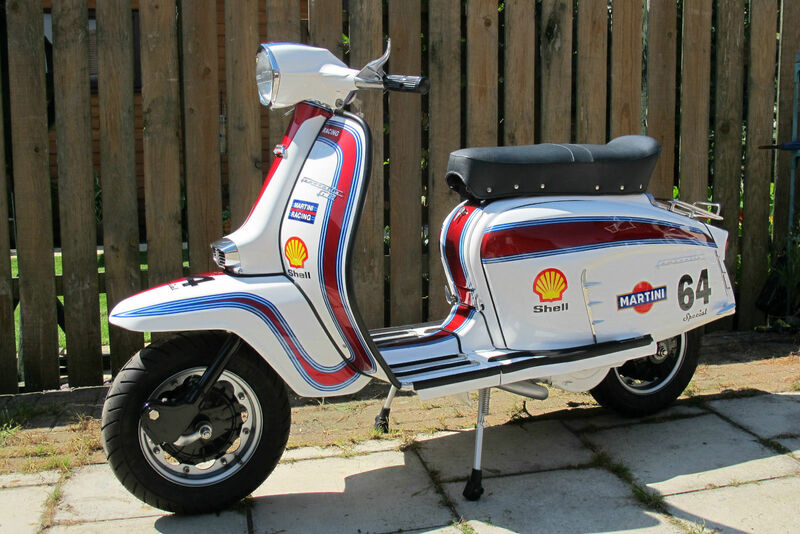 A cracking little scooter, that looks great in the Spanish sunshine! 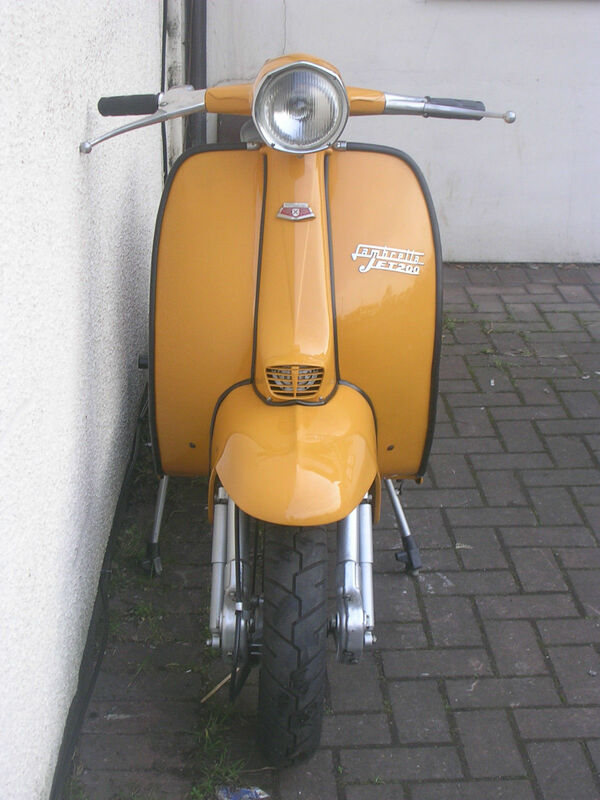 I’d love to see any other old Spanish Lambrettas… any Spanish LD’s or Series 1’s out there? 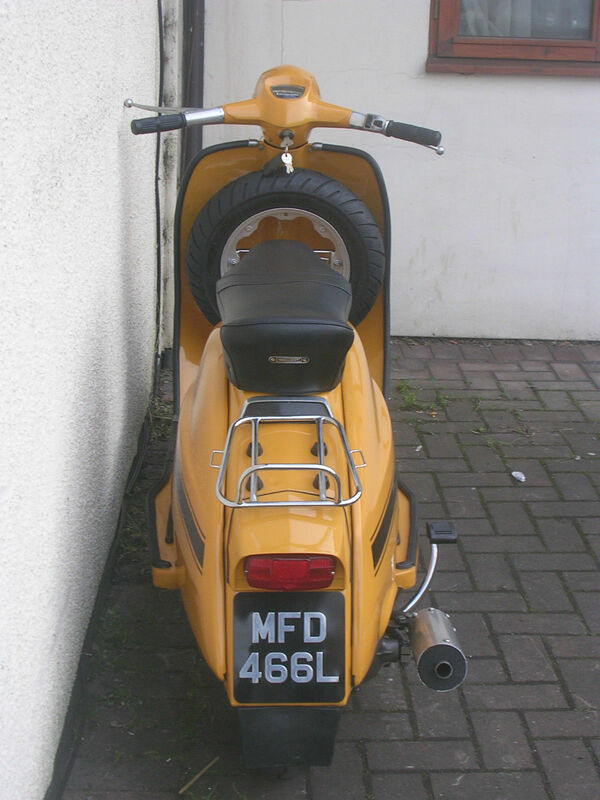 And what differentiates them from their Italian cousins? 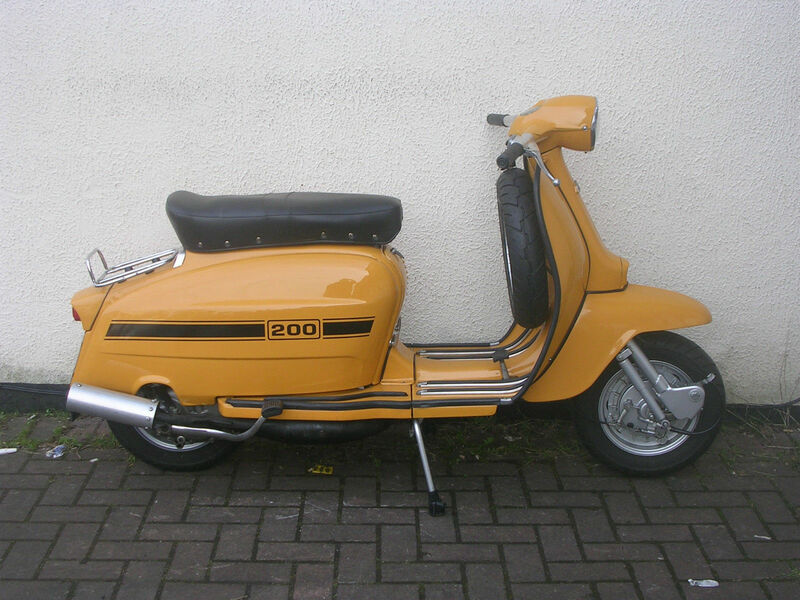 Theres’a nice, straight standard(ish) Serveta Jet 200 on eBay. 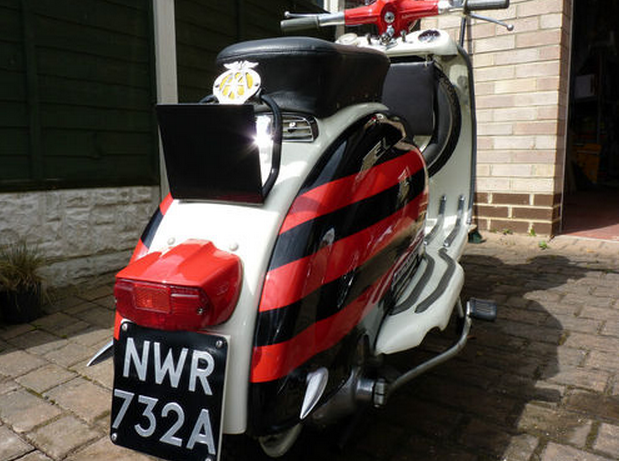 Opinions are mixed about this scoot… is it neither SX or GP, or does it combine the best styling features of both? If you’ve got your foot in the second camp check it out on eBay, here. 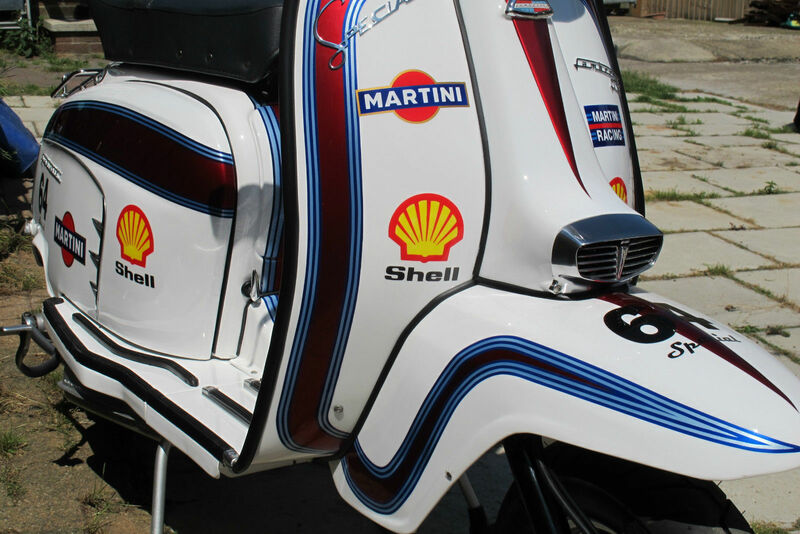 The first is a rather tasty Martini/Shell themed LI 150. 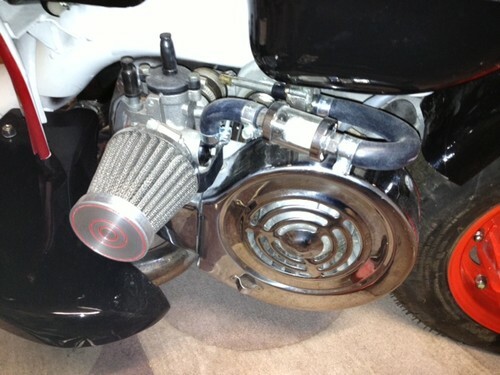 Find out more on eBay, here. 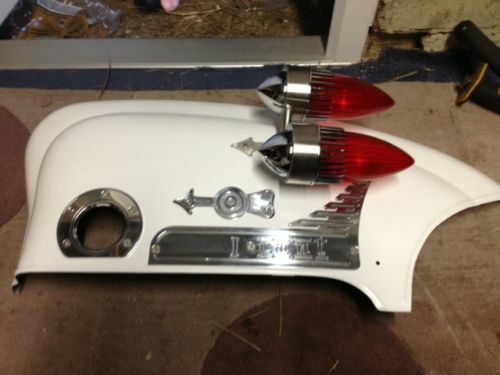 Find out more on eBay, here. 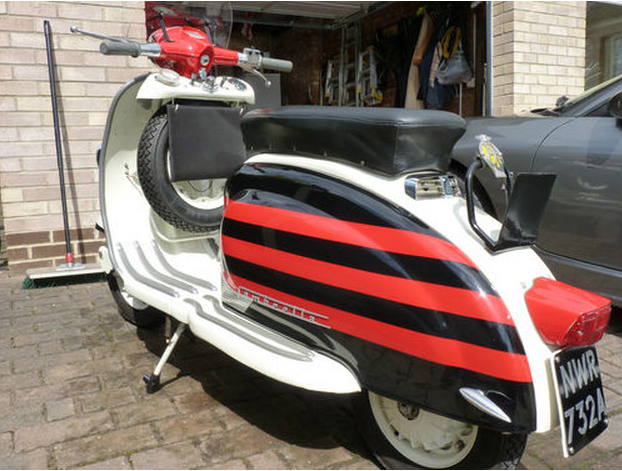 The second is an equally eye-catching National Benzole themed Lambretta/Serveta Eibar Jet200. Full out more on eBay, here. 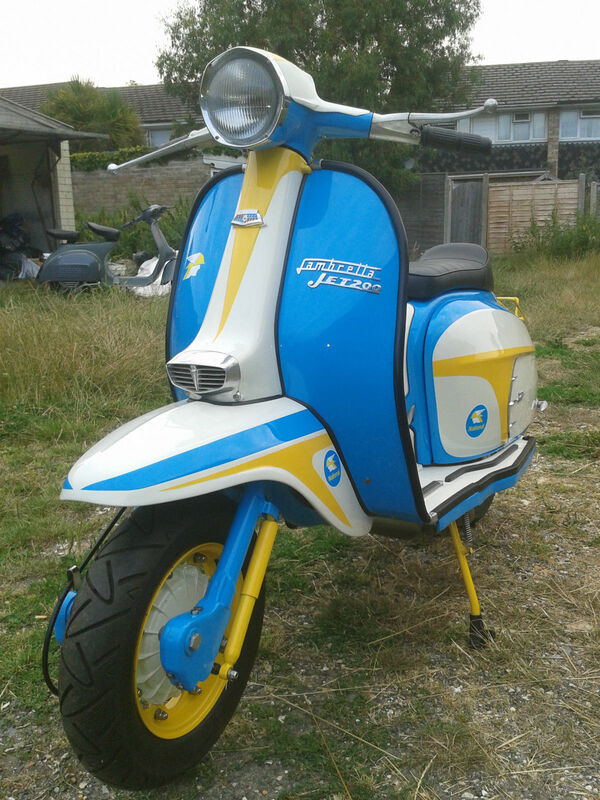 Here’s that eBay link again. 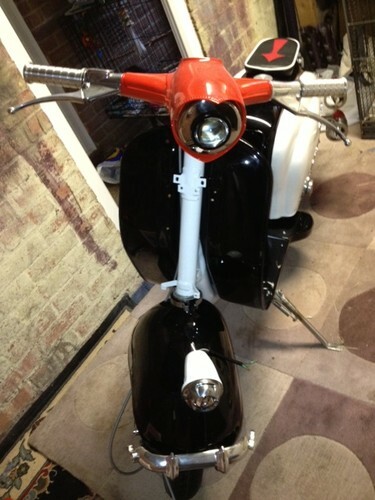 You’re going to love this scooter, or hate it. (Spoiler alert: I love it!) What you won’t be able to do, is ignore it. And you’ll have never seen anything like it before. 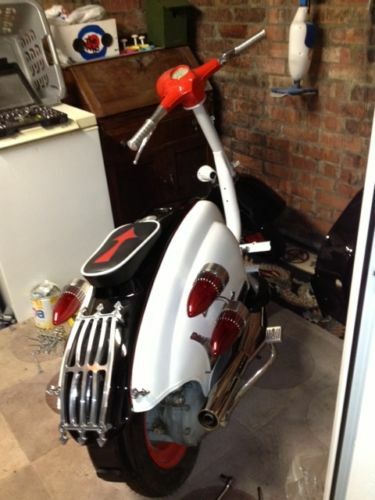 I could try and describe it, but you’ll get the jist from the pics, and the full description is on eBay. 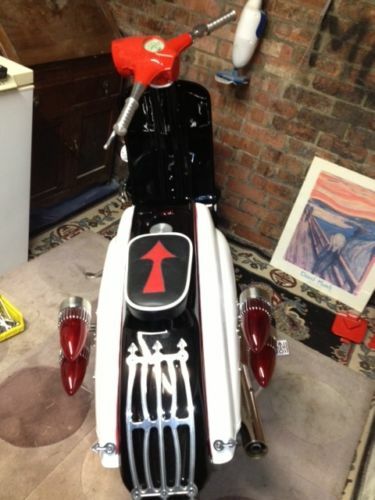 If you love it, can finish it, and you’ve got a wedge of cash burning a hole in your pocket, put a bid in on eBay here. 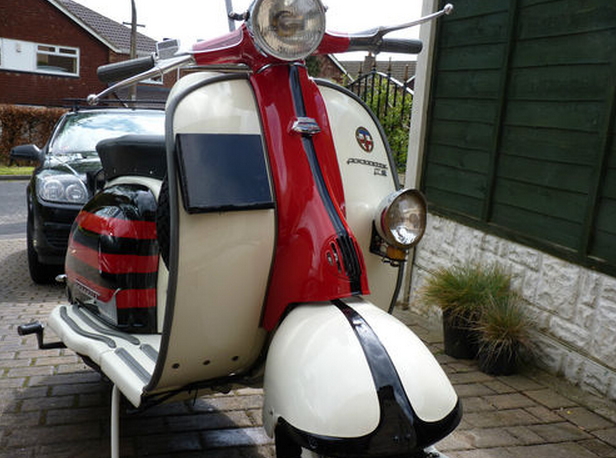 Found via the Mutant Series 1 and 2 Lambretta Group on Facebook. I’m loving this tune, and video by Cantabrian Reggae band Smooth Beans. (Cantabria, in case you’re Spanish geography is a little rusty, is the area around Santander in the North. I know it, slightly, from family camping holidays near Castro Urdiales, many years ago!). Any way, the Beans appear to have the Ska/Rocksteady / Skinhead Reggae sound down really well… a genre of music that particularly appeals to me. 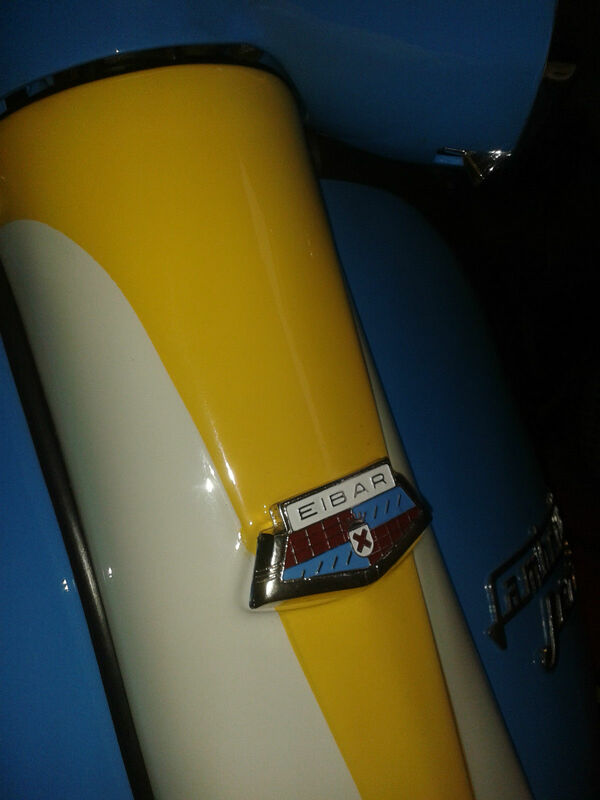 The video is pretty good too, featuring a nice Eibar Lambrettta (or should that be Serveta). 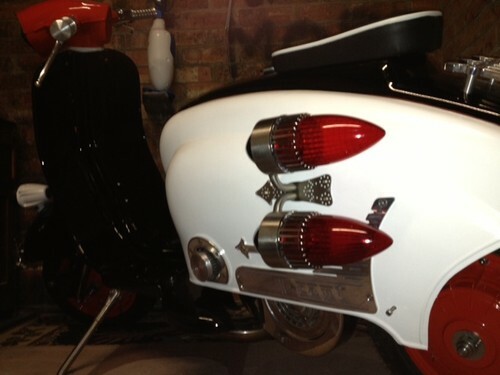 I’m not an authority on these Spanish machines, so I’m not sure if the SX/Jet style headlight was ever fitted to a S2 type machine… but hey… the scooter looks pretty damn good, loving the sidecar too! Smooth Beans on Liquidator Music. 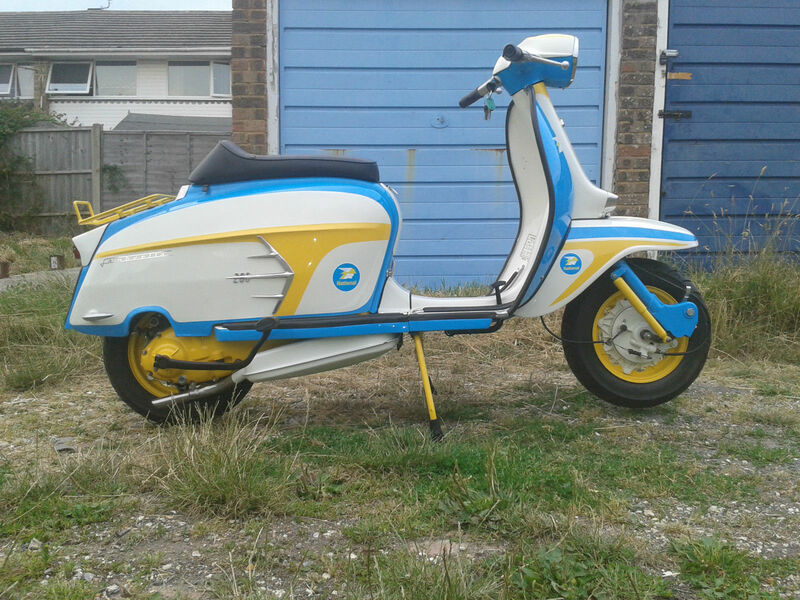 Thanks to The Scooterist blog for the heads up on this. 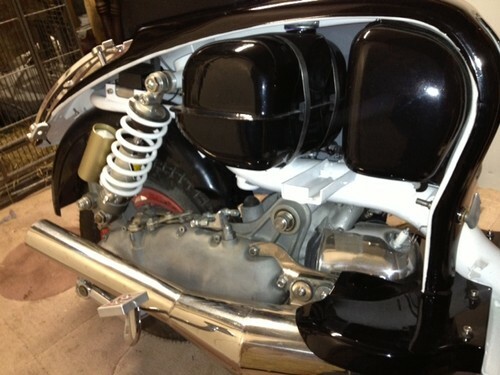 One of my favourite old skool cutsom machines, the Rallymaster was a special build by Lambretta Concessionaires for sporting UK scooterists competing in rallying/scrambling type events. 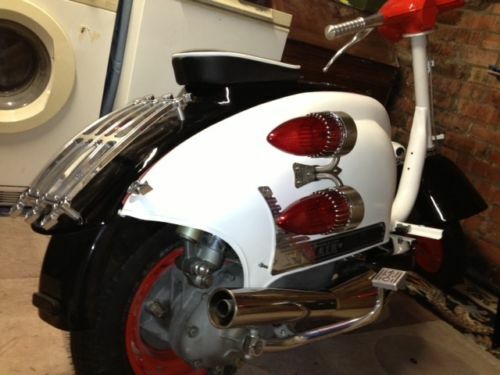 At the time, it was probably the best Lambretta built, this of course would make it the best scooter in the world. 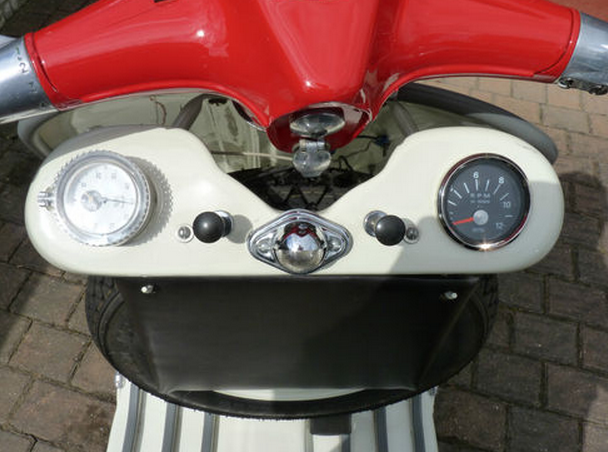 There were quite a few variations from the standard Series 2 Lambretta… all of which have been faithfully reproduced on this fine replica, now for sale on eBay. You can get all the details there of course, but check out the Eibar style turning front mudguard (with horncasting to match), the working Raydot spotlight, and the rear grab rail… epsecially usefull if the back wheel gets stuck in mud; and, my favourite feature, the intrument panel with a stop watch, map light and rev counter.